Located on the ground floor of the ITCAC, the café-restaurant 48 Urban Garden opens onto a 190sm bright lush garden featuring a sculptural wooden landscape composed of multi-level seating areas, bar tops, planter boxes and garden beds that produce vegetables, fruit and herbs. Under the shade of trees and umbrellas, guests can meander through the garden, sitting on picnic tables, barstools, lounge chairs or decks. The light and casual atmosphere of the garden is transferred to the restaurant’s 240m2 interior spaces. 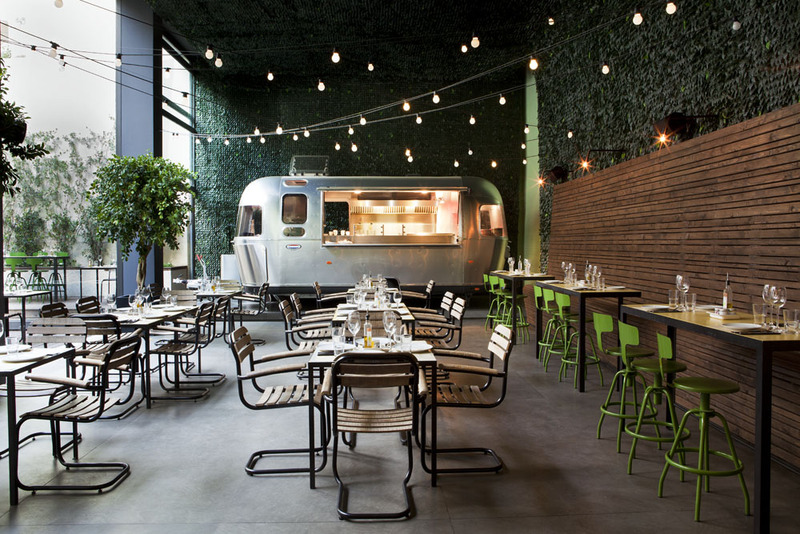 The main double height space features a custom-made airstream with a fully equipped kitchen in which seasonal, organic, locally sourced meals are prepared by the chefs. The restaurant is open Tuesday to Saturday, 20:30 – 02:00.